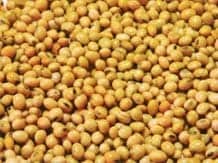 Soy bean prices at the benchmark Indore markets are trading at Rs 3,746 per quintal. For the week ahead, prices are expected to head towards Rs 3,685 per quintal. Weak processors demand due to lack of fresh meal export deals to weigh on prices.